WHAT THE HECK ARE “KILLER LOVE SONGS”? Thursday night, Oct. 15th at 7pm SLT, The Hollywood Ballroom introduces “Killer Love Songs” to its weekly line up. This is not your normal romance set. These are the love songs that get deep into you and don’t let go. These are the songs that make women cry and men confess their undying love. 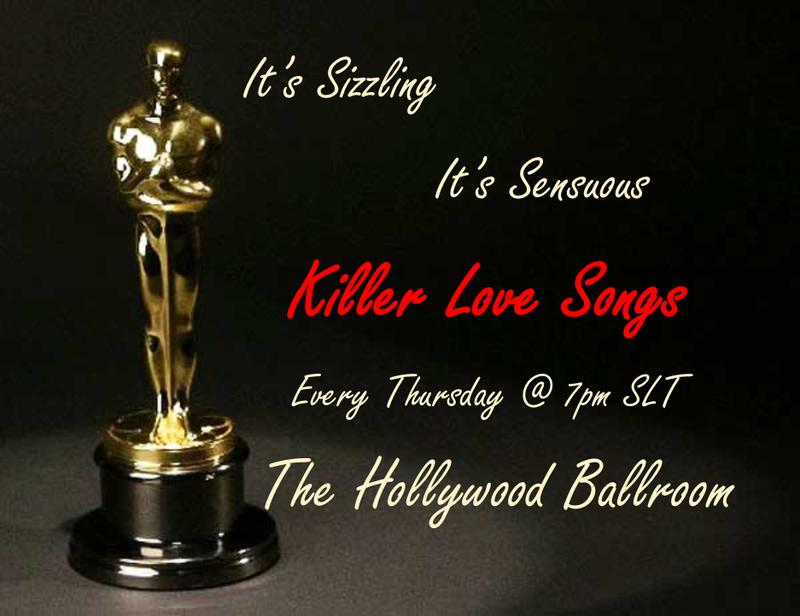 Bring that someone special or find someone new at The Hollywood Ballroom. A tissue dispenser has been set up on the bar, just in case. Formal or cocktail attire. Remember the first time you heard Natalie Cole sing “Unforgettable” with her father, Nat King Cole”? We have an entire evening of unbelievable duets set to go; along with your requests. Each song has been chosen to give you that same feeling, song after song. Formal or cocktail attire. Chip is a seasoned, professional RL musician and singer. 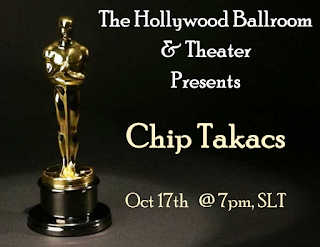 He performs our favorite hit songs from the 70's 80's and beyond. Because of his very distinctive voice, he has been called the Joe Cocker of SL. If we are lucky Chip will pull out his famous unplugged set. Will he do it? We will have to wait and see. Formal or cocktail attire. This Sunday, come and listen to “Linda Ronstadt, Live.” It is all Linda, all the time in this fantastic tribute show. So, don’t even think of going down to Blue Bayou, because Linda will be at the Hollywood Ballroom. That’s at 7pm, SLT. Formal or cocktail attire. Make The Hollywood Ballroom and Theater your destination for great music, great fun and memorable evenings.